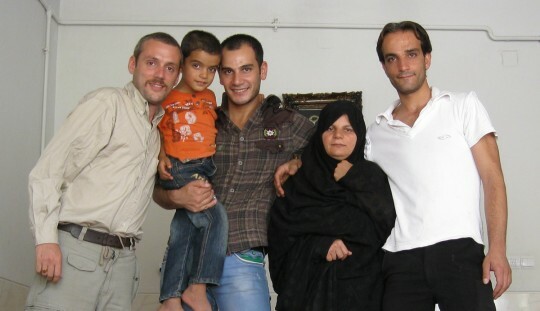 Amid and his family who kept me home in my last days in Iran. Back in the box. 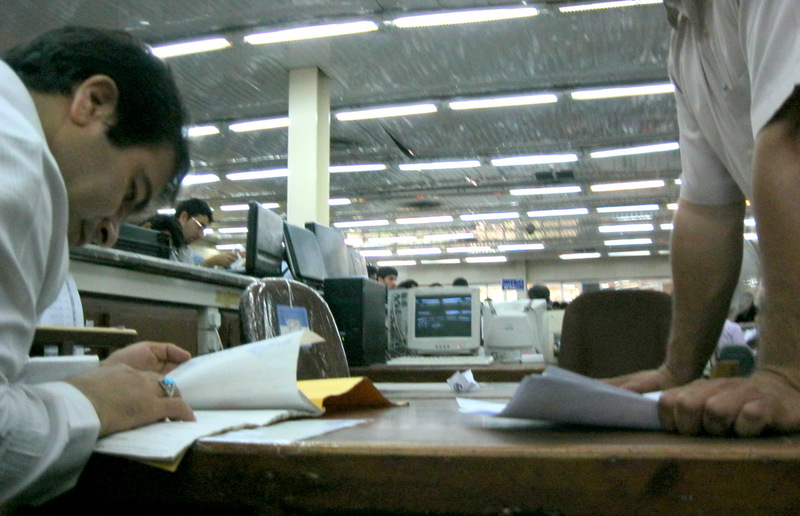 Amir and the customs agent inspect the papers. 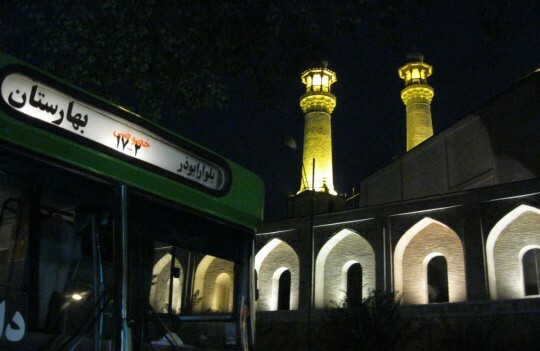 When it was done, he brought me to the bus station, and made sure I was all set up for the long trip to Shiraz. He asked the driver of the bus to keep an eye on me and make sure I had somewhere to stay while waiting for my flight, two days later. Oh yeah, some more papers. 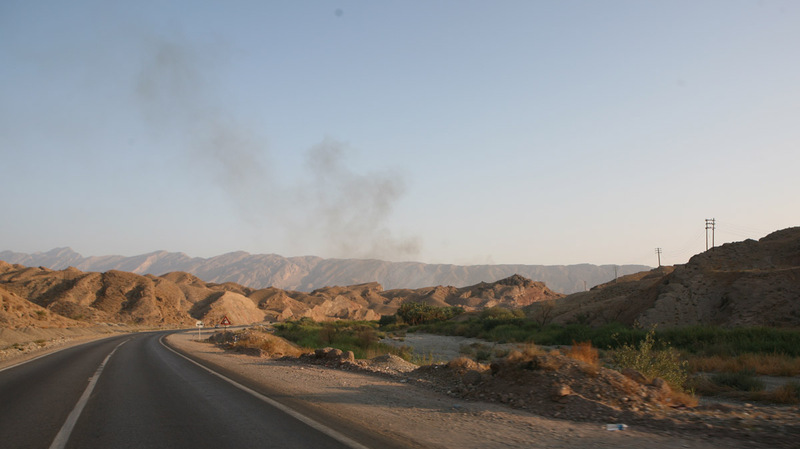 It takes a long time to travel by bus in Iran, as the vehicle is frequently stopped by the police and searched for drug. At 2 a.m., we arrived in Shiraz, and the young guy sitting on my side was officially chosen to take care of me. 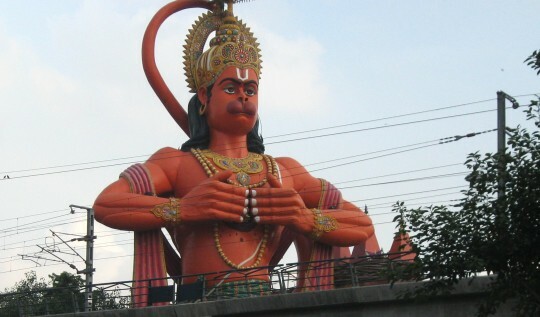 In the following day, I would stay with his family until I could take-off for India. It was great to spend time at home with Iranians, and I am glad I had this chance before I left. They fed me as if I was a son, which saved me since I didn’t have a penny to my name. 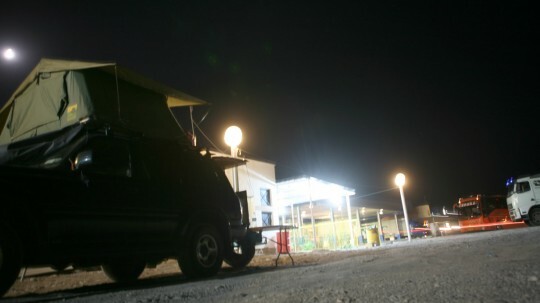 Amid lives close to Persepolis, so I had a chance to go back there, at night. What an impressive sight. There was a camp of nomads in the hills close to the site, as there always have been for thousand of years. Few hours later, I was in Dubai where I waited many hours to take another flight to Delhi. On Thursday, at 4 a.m., I arrived at destination just in time to see the sun rise on the demented city. 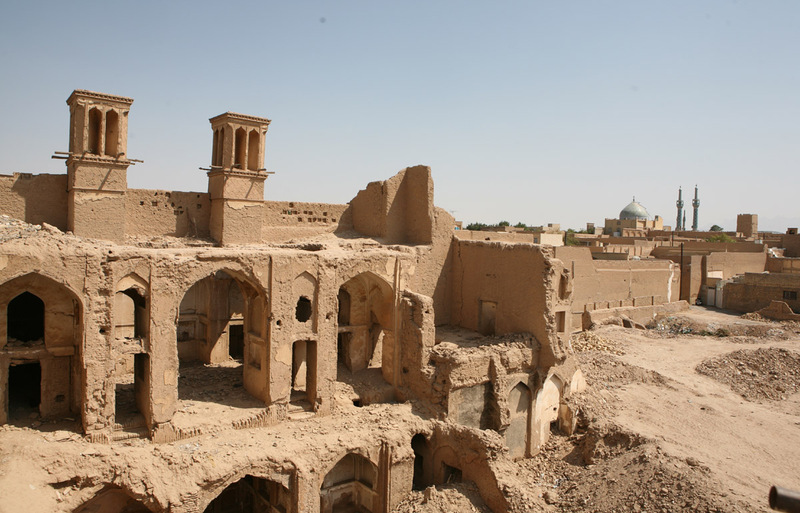 Ruins in Yazd, the 7,000 years old city. 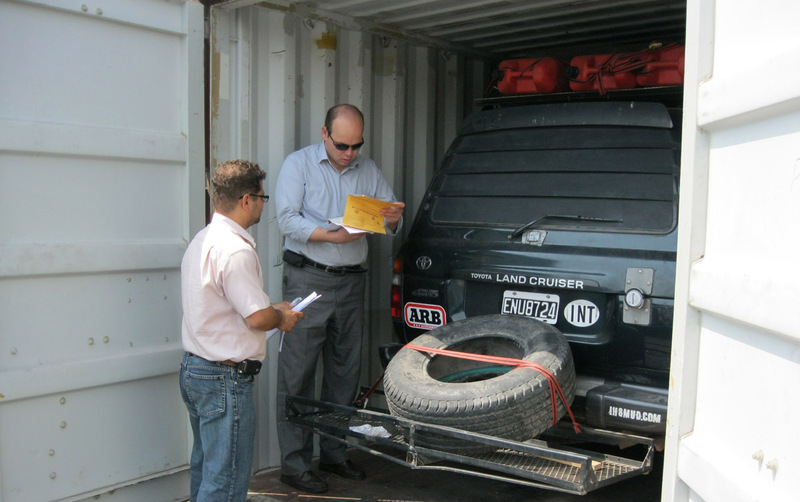 In Tehran, I meet with people at shipping companies in an effort to get a deal sending my truck to India. At first, it seems like a good deal when I learn that the ocean freight amounts to only US$100 from Bandar Abbas to Mumbai. 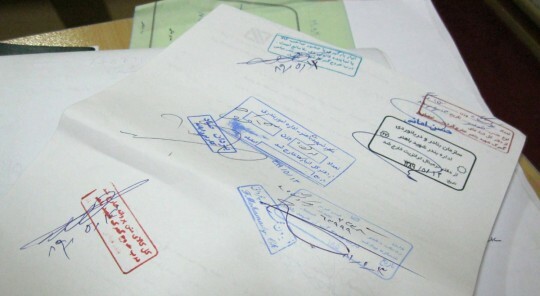 Unfortunately, Iran is a complicated country, and there are a lot of stamps and papers involved in every step when it comes to import or export. At the end of the day, it will cost me at least US$700 to be out of the port, plus a substantial sum to pay in India as well. 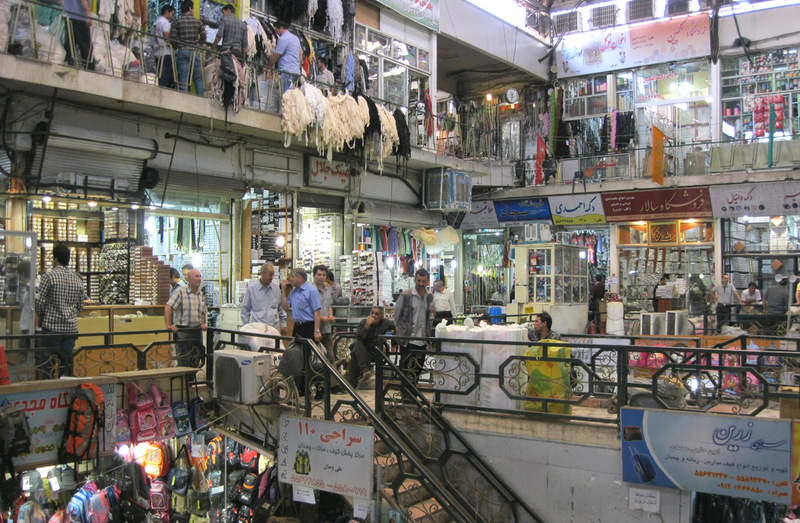 The Tehran bazaar. Probably the biggest market I see since Mexico. Nice carpets. Too bad I don’t have the cash. It’s expensive, but there are no other options. And I have the money. Exactly the right amount in fact, in U.S. dollars. 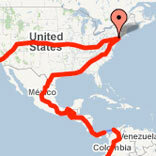 But the problem is that I don’t have a lot more than that, and I have to cross the entire country again. One would think I just have to go to the bank to get a bit more and make it out of the country OK. Well, things are not that simple in Iran. As everyone knows, the country is under international sanctions because of its nuclear program. That means that countries like the United States or France cannot do any trade with Iran. That also means bank accounts from these countries can’t be accessed once you are in the forbidden land. Nighttime in Tehran, when you can go out and eat during Ramadan. Knowing that, I got a lot of cash in Dubai, but I didn’t think it would cost me that much to get out of Iran. I felt that the US$1,000 I was taking with me was a comfortable amount, given that the country was pretty cheap. But now I will have a difficult time to make it out. Yazd alleys, easy to get lost in. I had to leave Tehran – an expensive city on Iranian standards – right now, and go south to ship the truck as soon as possible. A boat was set to leave port on Aug. 25 and I had to have my container on it. 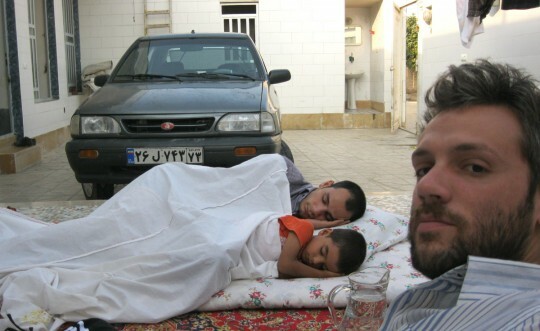 I left the city on Monday, and slept in a gas station 200 miles south of Tehran. It was quite noisy there, and difficult to find sleep. Few hours after, the police woke me up to check who I was, and more important, who I was sleeping with (nobody…). I left early morning and later arrived in Yazd, one of the oldest living cities on earth, inhabited since at least 7,000 years. Water reservoir with cooling towers. A passage in the city made of mud. There, I found a place I could stay at for cheap. 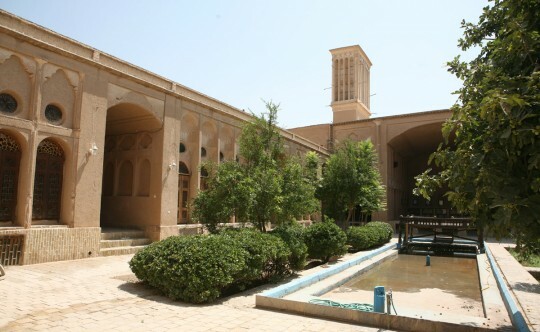 The Silk Road Hotel (highly recommended) lets its guests sleep on the roof or on beds in the courtyard for few dollars. At this point I am surviving eating the canned food I have in my truck, kept for emergencies like this one. 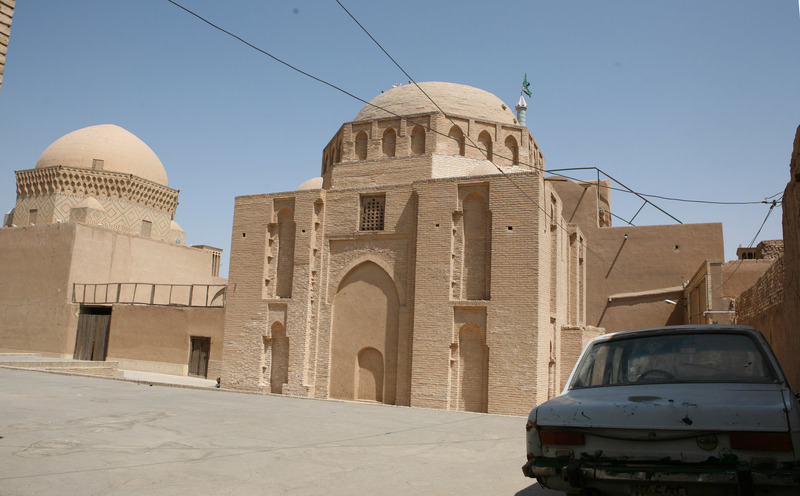 For the first time in Iran, I meet some tourists – mostly Europeans – in Yazd. I stay there two days, relaxing and visiting the old city. 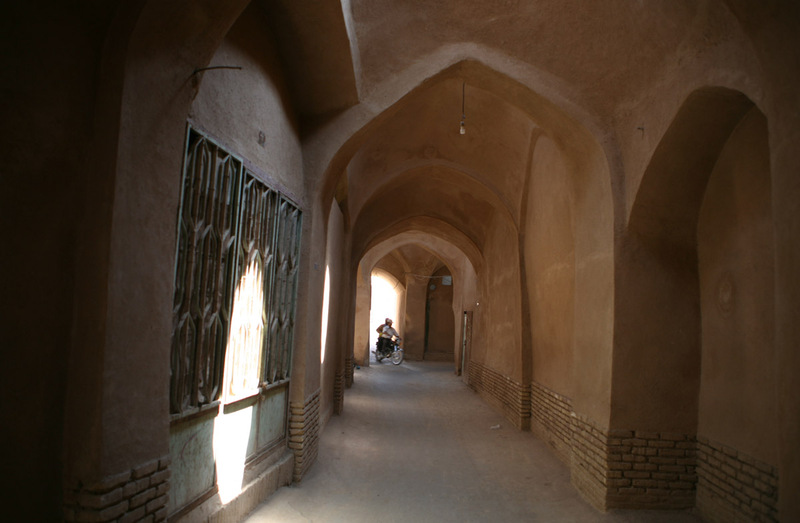 Everything here is built with sun-dried mud bricks, and the city is brown, as the desert surrounding it. 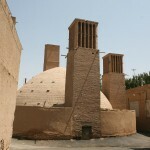 Old traditional building, Yazd. Notice the “badgir” on the roof. One striking detail is the presence of “badgirs” on the roof of many buildings. “Badgirs” are some kind of wind-catchers, ancient A/C designed to catch the slightest breeze, separate the hot and cold air, and send the latest in the house, or water reservoir. 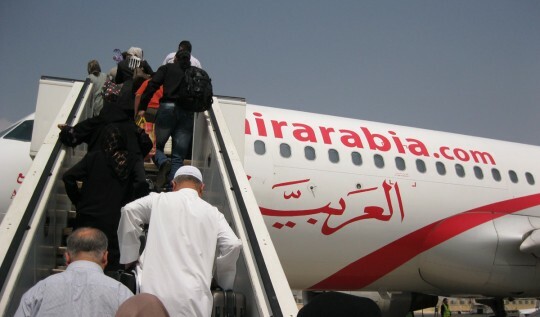 Going back to Bandar Abbas. Two days later, I continued my trip south. I slept at the same gas station where I stopped when I was coming up, and people there recognize me. It is my luck to be short of cash in a country where people are so welcoming. As soon as I stop somewhere, people bring you food and drinks. They are happy to see tourists, and they show it. 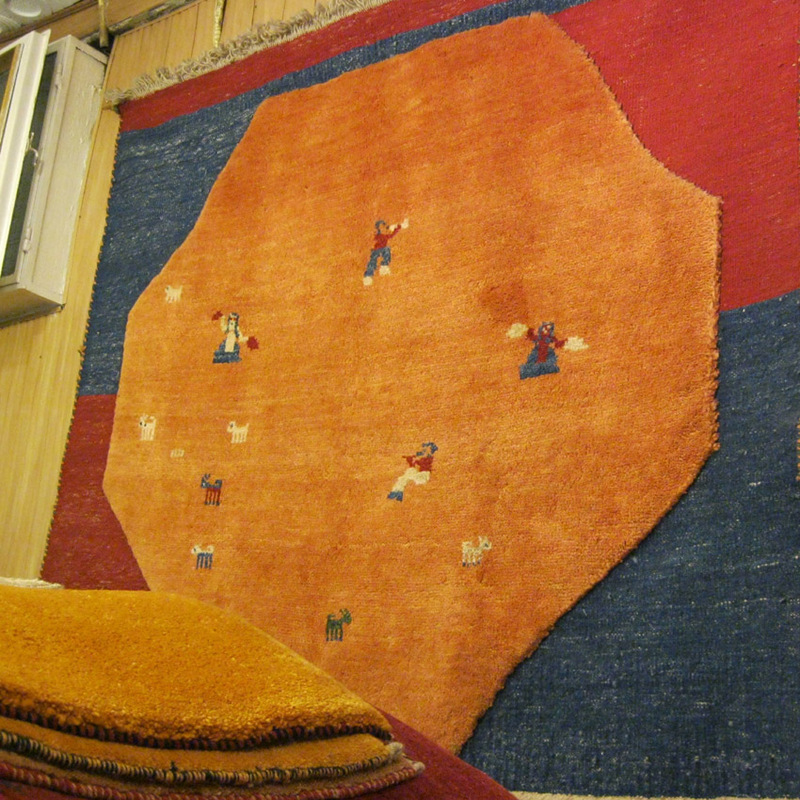 Once, on the highway out of Tehran, the workers even refused my money to pay the toll. Another night in a gas station. When I arrive in Bandar Abbas, I am back at sea level and the heat is intense. It is Friday, and everything is closed at the port, but I drive around to figure out the places I have to go the following day. I ask the police if there is a location where I could camp, but they can’t think of anywhere. Eventually, they speak to the owner of a hotel who agrees to bring the price of the room down 75% for me. When the receptionist sees me counting my money, she even gives me US$ 5 to have diner at the hotel this night. I think it was good that I was at the hotel, because I could not have survived the heat of the following days. I was supposed to be in and out of the city, stuffing my container on the Saturday. As of Sunday night, I am still not finished with it. I had to take an agent to help me out with the paperwork, and that will cost me some money as well. With the shipping agency, I was able to negotiate a partial payment here, and the rest in India, which freed some cash for lodging and food. The boat departure has been pushed back to the 27th (and probably later…). I hope to be in a flight from Shiraz, Iran to New Delhi, India – which I can pay online through a UAE company – on Tuesday. I would like to visit Delhi and travel by train to Mumbai, where I should be able to get my car in something like ten days. But we will see. 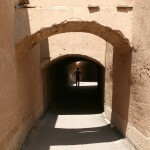 For now I am in survival mode, trying to escape from Iran.